The only Keeper for a Day experience in the UK where you get to work with rhinos, giraffes and elephants all in one day! 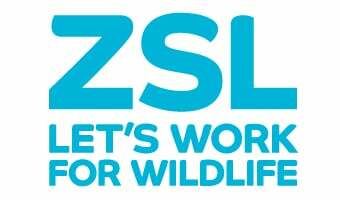 Our amazing Keeper for a Day experience at ZSL Whipsnade Zoo gives you a once in a lifetime opportunity to get up close to some of ZSL Whipsnade Zoo's most popular animals. During this full-day experience you will work with an expert Zoo keeper who will show you how we look after some of our incredible animals, including rhinos, giraffe and elephants. *Please note that during November – March you will be working with different species and getting involved with some of our more unusual animals which could include camels, bison or species like our butterflies! At ZSL Whipsnade Zoo you can expect to work with some of the larger mammals, as well as some of our smaller animals. You'll get kitted out in your Zoo keeper outfit and find out which animals you will be helping to look after for the day before heading out into the Zoo with your experienced keeper host. Keeper for a Day duties do vary from day to day but a typical experience will start with you helping to muck out our Asian rhinos and Asian elephants, you will then visit our giraffes to feed them their mid-morning snack. Following a busy morning you will recharge over lunch before getting back out into the Zoo to help look after some of our other zoo animals. "It was a fabulous day, I was totally exhausted at the end but I have some great photos and brilliant memories!!" What animals will I work with? Keeper for a Day is available for participants aged 16 and over; we do offer a separate Junior Keeper for a Day experience at ZSL London Zoo for children aged 11-15. Unfortunately this experience is not wheelchair accessible and participants must have good mobility. Guests with carers can get a carer ticket which lets carers enter the backstage areas free of charge, but carers will not participate in the experience. To get a carer ticket please call 0344 225 1826. Keeper for a Day starts at 8:45am, Monday – Friday from April through October (except bank holidays) Available on selected weekdays from November to March. We also offer Keeper for Day as a gift voucher. Please visit our online shop here to book as a gift for someone.